What kind of imbecile drives this fast? The thought must have crossed your mind at least once whenever you witness a Ferrari or Lamborghini blazing past. And I don’t blame you. I’ve even muttered the (rare) expletive when I encounter such behaviour. However, my column this month isn’t about supercar owners and their driving habits. Except for the proverbial bad penny, which turns up once in a blue moon, the sports car drivers I know all conduct themselves pretty well. On the other hand, the individuals behind the wheel of commercial vehicles– trucks, lorries, vans and trailers – have been getting on my nerves. Again, I’m not saying that every one of them behaves in the same manner, but the increasing number of times I’ve seen huge trucks zoom past me (and vans travelling in front of my car at high speeds) isn’t only highly irritating, but also worrying. I’ve also seen them in said lane –overtaking other vehicles at speeds way in excess of the regulatory limit. The loads that are ferried by these vehicles weigh tonnes – and I cannot imagine the extent of the carnage should they get into accidents. During one rainy October evening on the Keppel Viaduct (this stretch is a great place to catch these offenders); I got the scare of my life. A truck carrying a load of earth (bits and pieces were falling out of the back) sped past on my left and then swerved into my lane suddenly. This action caused it to oversteer, and its tail slid from left to right before the driver (who surely must have been praying, because I sure was) managed to get it under control. Stupid Truck Driver stuck to the speed limit, and was mindful of the sheer size and weight of his vehicle. I know the authorities are aware of the potential danger these vehicles pose to road users, but something more needs to be done to punish the law-breakers. For a start, I’m all for increased policing, especially along the roads that these drivers frequent. And before you get all jumpy at my suggestion (as this would also mean that every driver will come under heavier scrutiny), I have one final thing to add: Is there really any need to speed? 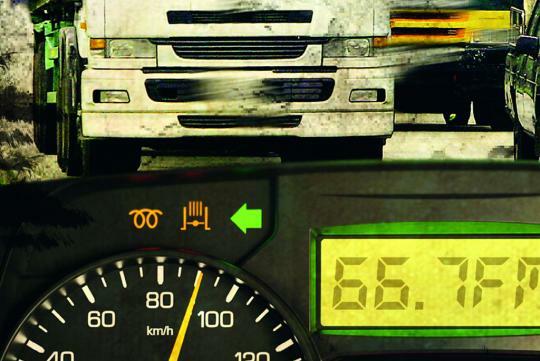 Tony also recommends that all commercial vehicles to be fitted with speed limiters – just like the ones installed in Formula One race cars – that will prevent them from exceeding a preset limit while they’re on the road. 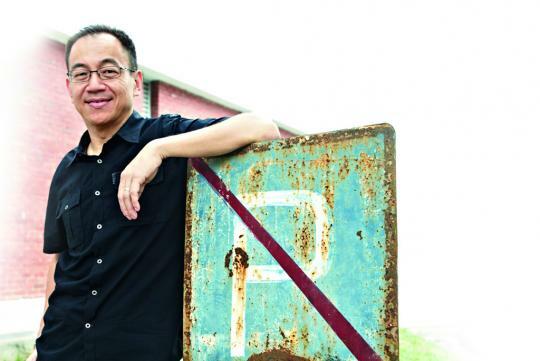 This article was written by Tony Tan, freelance writer for Torque. I do agree. Other than this speed limiters, I also think that all drivers should be educate once again about road manners, consider the way many drivers drive these days, like braking without any reasons, lane changed without signalling. I also happen to see that local drivers don't drive efficiently. I don't have a problem with commercial vehicles. On free-flowing roads, I overtake them with ease. They are probably irritating to those who keep at the same speed at them. Mentality will be "Damn, I'm going damn fast at 70kmh already. These guys are blocking my sight and lane. 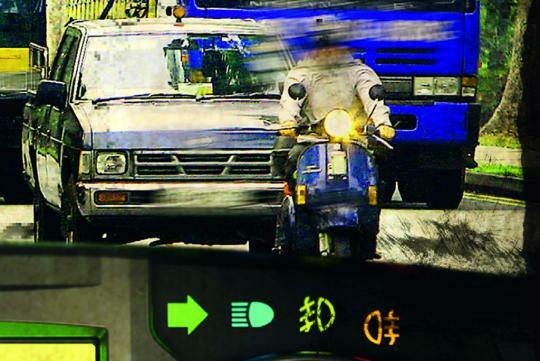 They should go slower and not travel at light-speed"
If speed-limiters are to be installed on commercial vehicles, there's no reason why passenger vehicles and motorbikes should be spared. I personally think that commercial drivers are a much better driver than normal car drivers. Maybe is my luck, i always met lorries that is very courteous when driving on the expressway. no problem with them. I still think most of the "taxis" are the trouble makers. Sidetrack a bit. Some commercial vehicles take on the center lane when traveling on the expressway and I'm fine with that, but I'm not okay with the fact that some of them eat out to the next lane when they are negotiating bends. Try to avoid being directly beside a big truck before or during a bend. Speed up if possible. Chances are they may swerve into your lane. I do not have a bone to pick, after all they are doing it for a living and it's a hard life. However, I think that as regular users on the road they have to be more responsible. Other than speed limiters, impose heavy fine if they do not keep to left lane. Very dangerous esp if they are in the middle lane. I think we need to get our priorities right. Cyclists need to be regulated before heavy vehicles. Its painful to implement, but needs to be done. Encountered a retarded cyclist who installed 2 powerful headlights and set on blinking mode. Beam was so powerful that even the height limit sign on the overhead bridge was shiny. Prease lah Mr Tony Tan, do not tell me that you are a saint on the roads and do not speed at all? You mean to tell us that passenger cars do not speed too? It's the driver that requires to install a speed limiter and not the vehicle. If you want to install it on a vehicle might as well do it on all. Every driver will keep to the speed limit and peace will bestow upon Sgp roads. IMO you can keep your biased opinion to yourself. Judge yourself first before you make such a suggestion. It will save you a lot of embarassment. Wow... you know Tony personally? Sounds like you have a bone to pick with him. Hey pal, go easy on truck drivers. We all have our share of frustrations on the road. You are prepared to perform a handbrake turn? You seems to be very confident of your driving but you dont have to call people stupid.